When a dealer wants to grow their business and start making more sales, the easy solution is to get more leads. Even if you have hiccups and gaps in your processes, if you get more leads, you’ll sell more cars. That is until the gaps in process become so big that you can no longer convert leads to sales at the same rate. One of the main areas we see this breakdown is in the BDC. When your call center is flooded with leads, it’s hard for your reps to keep up, especially if they don’t have a systematic approach to handling leads. The first place you’ll see this breakdown occur is in your connect rate. Your connect rate should be defined as the number of unique, valid leads that you actually interacted with. This could be a little difficult to track down because whoever is handling your leads is probably counting any time they speak with a prospect as a connect. But they should be tying that information back to a unique lead’s data. Each unique, valid lead can only count as a connect one time. 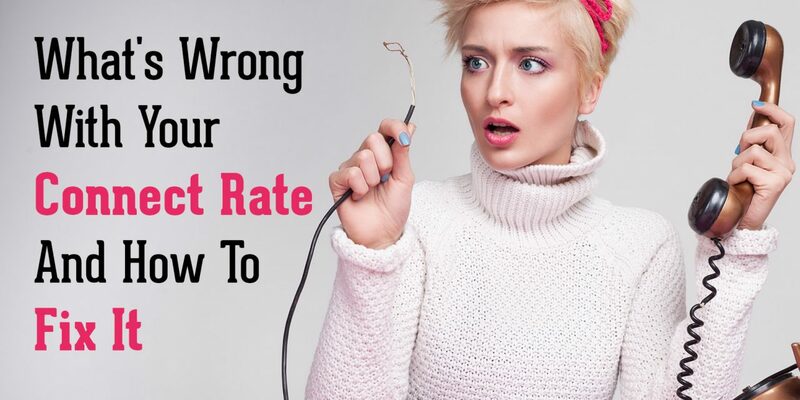 When you see your connect rate drop below 85%, you’re missing valuable opportunities that you’ve already paid for. One reason why your connect rate might be below the benchmark is that your reps don’t have a structured call cadence with the number of calls necessary to actually connect with leads. You see, if your reps are managing their own workflow, they are likely deciding that they need to make far fewer calls than it takes to connect with leads. They are also probably not making enough calls early on in the life of the lead. Speed to lead is essential to connecting with leads. The goal should be to get them while they’re still on your website. In fact, a lead that is called in the first five minutes is four times more likely to be reached than a lead called just ten minutes after being created. Finally, if you have enough calls scheduled and the schedule is strategic enough to hit new leads multiple times early on, then it’s possible that you’re BDC is not making enough calls to work through all of your leads. That could be because there are too many distractions in the process, or it could be because you don’t have enough people. But it’s likely that the process is too complicated and has too many holes that allow for inefficiency. We recommend creating a system that removes all distractions from the reps, so all they have to do is smile and dial. When you do this, you can create an environment where your reps can make, on average, 200-300 dials per day. Achieve this output and watch your connect rate climb. For more information on increasing the efficiency and output of your BDC, check out our free eBook The Ultimate Guide To A Powerhouse BDC.